First posted on Medium under similar title: don't step back, step forward. View atop Pyramid Peak. Lake Tahoe to left. 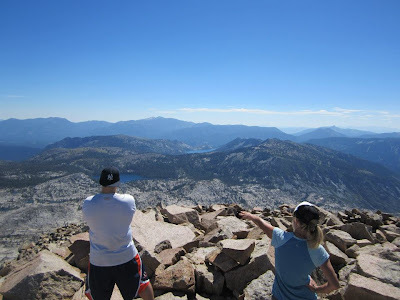 I am often heard giving advice to people: “take a step back” or “let’s look at the big picture” or “take a 50,000 feet view from the top.” Or some such platitude. Why? Because you feel that is what you need when you feel bogged down in the mud of conflicting stakeholders, or lost in the darkness of uncertainty. How often had I really given thought to what I was saying from the perspective of the person receiving that comment from me? Then, recently, I had the experience of hearing it as an advice offered to me. I have many different thoughts in my head and trying numerous projects. I should perhaps step back and gain perspective on what I really want. It stopped me. It really made me think. Is that true? What is my next step? What does it actually mean for me? Step back to what? Does it mean putting my different efforts on hold so that I can focus? But, that’s more like stepping forward, rather than backward. Is it to spend a few days not thinking about the current problems to let the mind tie the pieces together? In his book Where Good Ideas Come From: The Natural History of Innovation, Steve Johnson suggests a technique for stepping back by recalling Poincare’s description of a “eureka” moment. Henri Poincare had been stuck on a problem. According to Johnson, one evening Poincare took a break from the routine to go for a walk. It had apparently loosened the ideas that existed in Poincare’s head, literally let them shake in the head and bump into each other. That’s the process of serendipity. But both my reflection on words from a friend, and reading of Johnson’s book reminds me that there is actually no stepping back. Just as you go for a walk to let ideas progress, so you don’t step back. 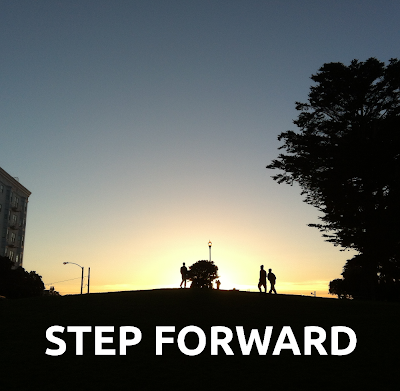 Instead, you step forward. For entrepreneurs, that might mean more focus, more persistence; not relenting to take in a bigger picture, but rather to dive deeper in search of new truths. It sounds painful. When you are at a wall, and banging your head, it is painful. We are conditioned to avoid pain. Step back. Look where the fires are with a bird’s eye view. Maybe you should avoid it. Or maybe you should walk through the fire and see what’s on the other side. If only you’ll walk forward. … citing Winston Churchill’s exhortation to the Britons under existential German attack. Never give in. But I did. We did. We gave up. And yet I never did. I am still learning and growing. And that pain of failing, of letting go of an idea and learning… of climbing a hill, feeling the burn … that pain is useful and vital for progress. It is the only way out of mud and out of darkness. I love running hills. Maybe I’m dumb. But I love the perspective. Many things in life, as in entrepreneurship take faith. To trust that there is a better future, to have faith that our efforts will bear fruit. We fear pain and failure, but faith would tell us to be resourceful and look beyond the pain. Anything is possible, even for an MBA to break into tech as a programmer. Important thing is to keep doing, to keep an open mind and not label and dismiss others, but to always learn and grow. And that growth is not always linear. Just like life, one takes interesting turns and forks in the road. I never thought I'd publish a book on Happiness, but I did. Don't lose faith. Step forward.